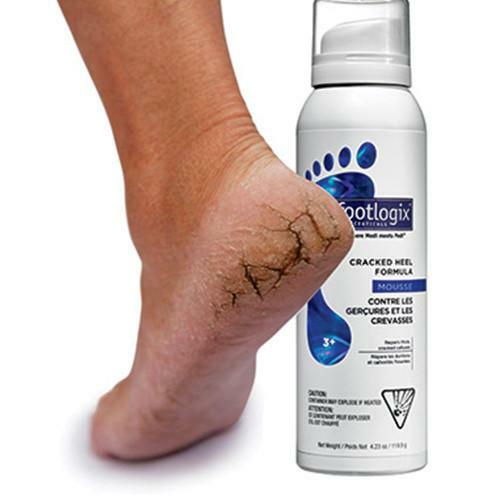 Footlogix® 3+ Extra Dry Cracked Heel Formula Mousse is made with Dermal Infusion Technology for severely dry, cracked heels and calluses. Moisturizes and protects extremely callused, cracked skin, and is permeable allowing skin to return to its natural functions (important for diabetics). This mousse is absorbed immediately without any greasy residue – clothing can be put on right after application. Free of perfumes and preservatives. One of the most common foot problems that we see at Bella Reina Spa are cracked heels. Especially in Florida where everyone is going barefoot, but cracked heels are caused by dry skin. It really becomes a problem for many people when the cracks become deep. If the edge of the heel is thick, that becomes a callus, making the cracks deeper and painful. Sometimes the cracks can even bleed. Taking care of your feet is a priority for your health, especially if you have cracks. Open cracks on your heels can let infections and bacteria get into your body. Despite comments from others, cracks in your heels does not always mean that you do not take care of your feet. Some people are just predisposed to drier feet. How To Heal Cracked Heels Fast – Exfoliate the skin on the heel first. You can try using a pumice stone, but a foot file works much better. There are two type of foot files – one with sandpaper and one with stainless steel. Whatever you do, don’t use anything that looks like a cheese grater. It temporarily removes the callus, allowing the skin underneath to risk infection and rebuild the callus. 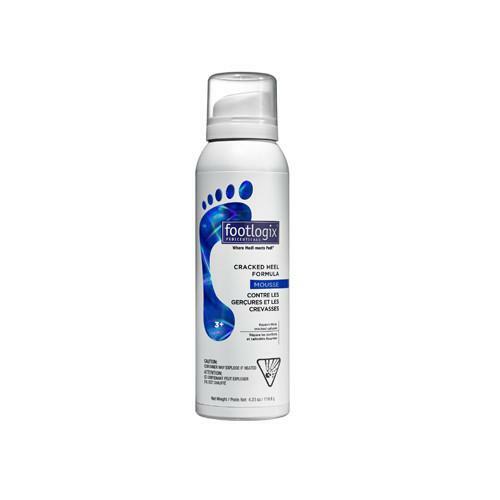 Apply Footlogix 3+ Extra Dry Cracked Heel Mousse morning and night at first. Why does this work better than a moisturizer? A normal moisturizer does not contain ingredients that can actually soften deep into the layers of the skin. If used properly, cracks should start to soften within 1-2 weeks. Wear closed toe shoes with heels for awhile until the heels soften and heal. If the crack are deep, take extra precautions to keep feet clean and sanitary. Finally a product that really works. I wear sandals all the time so my heels are always cracked. I started to see results within 2 days of using this. Would definitely recommend.